Our safe, effective and reliable air duct cleaning services in California are just a phone call away. Use them for your HVAC system or dryer vent. We are experts in the removal of all types of contaminants including mold. 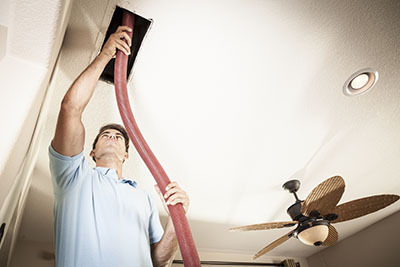 When required, our solution includes air duct repair or replacement. Count on our company for air duct cleaning, seal repair and sanitizing and for full HVAC maintenance too. Call us to hire our professional services. Keeping your air ducts clean is the first step in air quality control and maintenance. 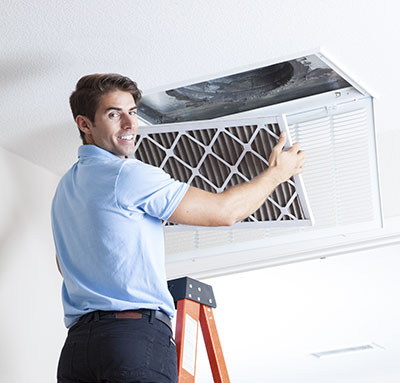 Air Duct Cleaning Danville handles air duct cleaning, asbestos removal, air quality testing and sanitizing. Our air duct cleaning services clean your air ducts, condenser units, exhaust systems and furnace ducts. We provide expert dryer vent cleaning and repair services for both residential and commercial clients. Cleaning your air ducts and HVAC equipment will keep them working issue free for years to come. Your indoor air quality is controlled by you. We provide indoor air quality testing to ensure that your air is safe. Particulates such as asbestos, dust, pet dander, etc., can cause irritations to individuals with allergies. Keep your family free from indoor air quality related allergies by having your systems cleaned regularly. The general rule of thumb for cleaning your air ducts is once every two years. This figure changes depending on the construction of your home, the geography surrounding you and the climate of where you live. If you use an air purification system, let us make sure that it is functioning at peak efficiency. Damaged air purification systems only lead you to believe you are safe. Water damage increases the chances of mold and mildew. Mold can be toxic depending on the type and an individual's susceptibility. Mildew ruins walls and any other item it comes in contact with. Protect your home from water damage by having your HVAC equipment services annually. The water that is removed from your air through your air conditioning system needs to escape your house. If your HVAC equipment is not functioning properly, you may have backslide of this water into your home. We offer asbestos abatement and removal for homes that were treated with this material. Once used as anti-fire device, asbestos was found to cause major respiratory health issues for those who breathed in the particulates. Have our expert team remove your asbestos. Removing it on your own could exacerbate the issue. Our expert cleaning professionals use UV cleansers, air duct cleaning machines and other industry standard equipment on your home. We use the latest technology to ensure your home is a safe environment for you and your family. Our technologies allow us to complete the air duct cleaning and servicing in far less time than the average homeowner. Save your money by keeping your cool air in, and the warm air out in the summer. Keep the warm air in, and the cool air out in the winter. We can help you accomplish this by checking your insulation. Your insulation keeps the environment inside your house from exchanging with the outside. Simply adding insulation to your home could save your hundreds of dollars a year on your heating and cooling bills. Checking your insulation annually will ensure that damaged insulation is replaced before it creates any issues in your home. 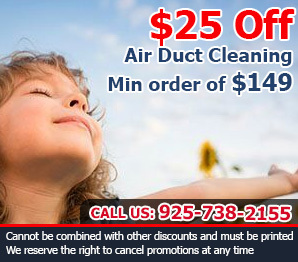 Cleaning your ducts has never been easier than with Air Duct Cleaning Danville. We will save you hours of work. Trying to clean your ducts and HVAC equipment on your own may not even be possible if you do not have the correct equipment. Save yourself money on repairs by letting the air quality experts, service your ducts and equipment. The people of Danville are now sensitized on air pollution infections and are now mobilizing others to get necessary help.